After earning his Bachelor of Fine Arts degree, Carter continued as a sign painter at Ellison Edwards Sign Co. But he never forgot the beauty and artistry of that Colt. 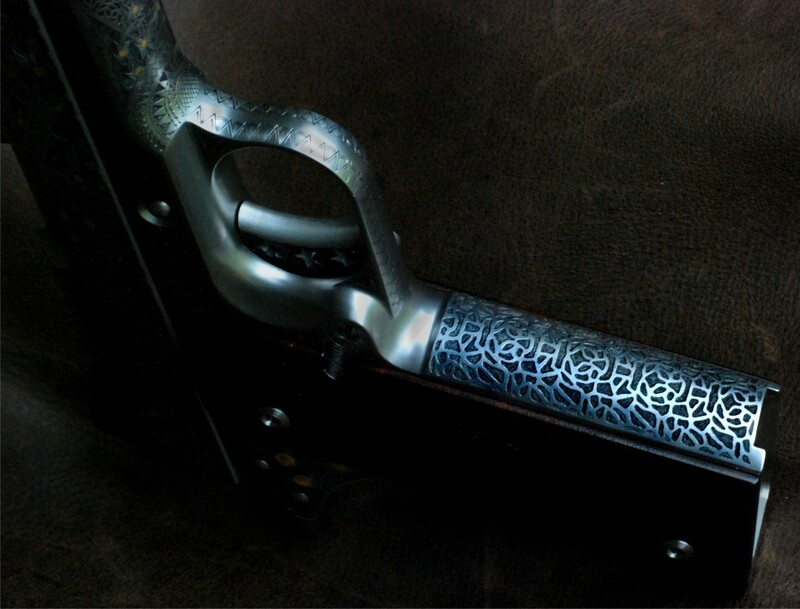 In 2002, further inspired by James B. Meek’s The Art of Engraving, Carter took a firearms engraving course led by FEGA Master, Mike Dubber. The seed planted by the Colt took root. “Engraving has a steep learning curve,” Carter admits with a laugh, “It takes years of patient perseverance to master.” Carter applied his growing talents to a range of objects, including motorcycles, watches, jewelry and firearms. After thousands of hours of dedicated labor, Otto earned the title Master Engraver. His engraving career began with traditional scrollwork. “You can’t play jazz without first learning music theory,” Carter says. 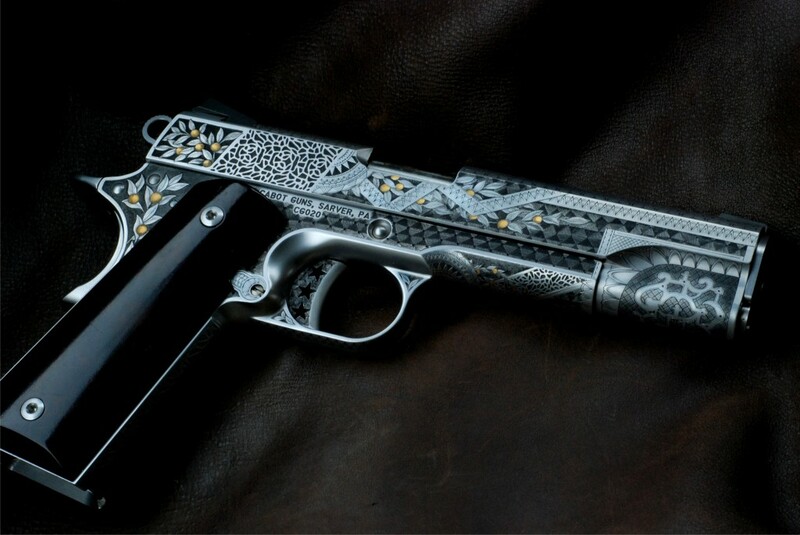 His journey into non-traditional firearms engraving began with a Celtic design laboriously carved into a revolver handgun. It opened-up a world of possibilities. Carter began engraving a variety of non-traditional designs on firearms: snakeskin, cattle brands, tribal symbols and skulls and flames (inspired by art work commissioned by Big Daddy Roth). 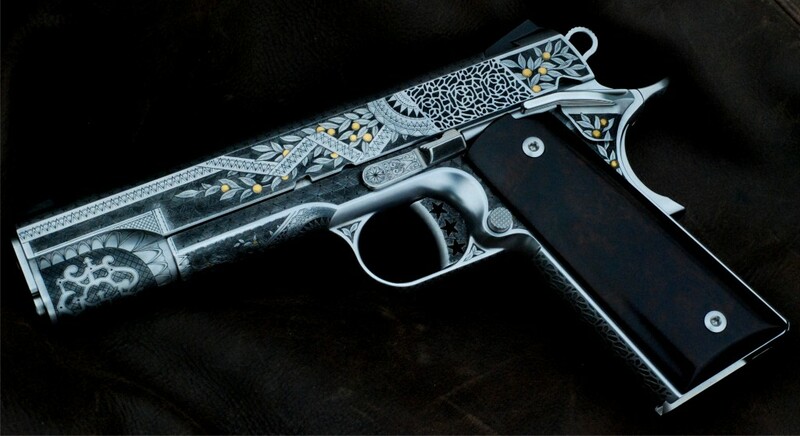 Carter’s firearms engraving reached new heights with two recent pieces. 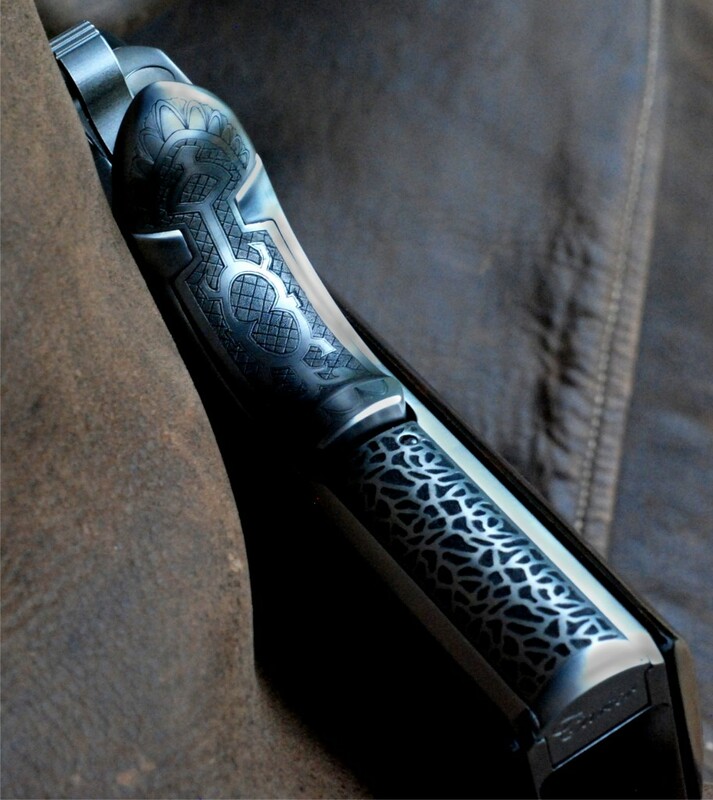 In 2014, he engraved a Bond Arms Derringer in the Aztec style, complete with a matching ring. In 2015, he completed an H.R. Giger-inspired 1911 (a firearm for which Carter has a special affection). In 2016, 1911 manufacturer Cabot Guns saw Carter’s Giger gun and approached the engraver with an open-ended commission.